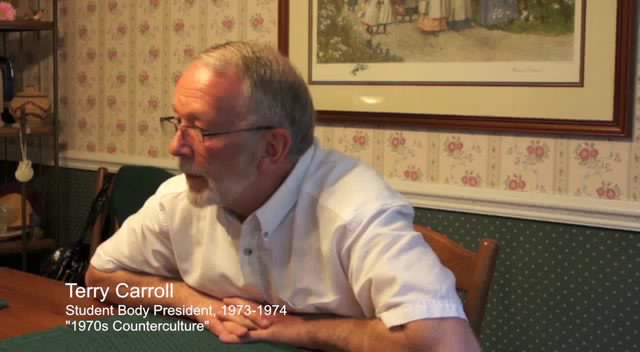 Terry Carroll recalls how he became interested in Student Government following his return to campus after two years of service in the Vietnam War. 00:00:13.599 that there had been mold on some things in the cafeteria. 00:00:28.345 and I'm like, you know, shouldn't there be something a little deeper here? 00:00:36.633 because I'm like we're asleep here. 00:00:44.733 wondering what we're going to have to snack on during the football game. 00:00:47.066 So that really was probably what put the fire in my gut. Tony Caravano explains how he became involved in Student Government and the leadership positions he held in high school. 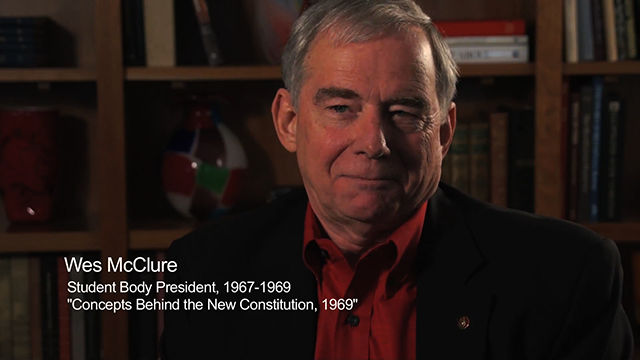 J. Robert Cooke discusses how he became involved in student government at NC State. 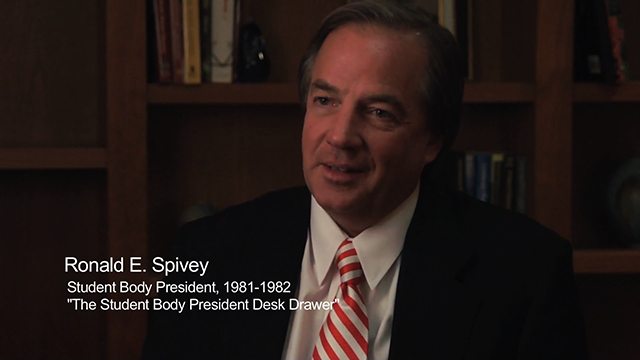 The student body president serves as a member of the Board of Trustees. 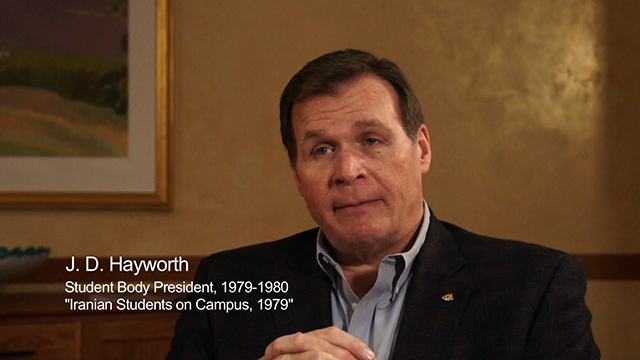 J. D. Hayworth talks about serving on the Board with Roy H. Park, and he recalls Park's work and accomplishments. Brooks Raiford discusses what he considers to be his greatest accomplishments as a student leader including the professionalization of Student Government. Harold Pettigrew talks about how, during NC State Board of Trustees discussions on tuition increases, he as the Student Body President had to balance the needs of the university with representing the student perspective. Wes McClure talks about learning that he had good leadership skills through his involvement in Student Government at NC State. The skills proved to be crucial assets during his military service and his career as an architect. Tony Caravano recalls continued controversies involving tuition increases during his tenure as student body president, and his efforts to keep tuition affordable for NC State students. John Coggin, a recipient of the Park Scholarship, discusses the many benefits of the Park program and how the Park Scholarship influenced his college career. Adam Compton talks about balancing academic and leadership responsibilities. Raj Mirchandani describes his responsibilities working with the Inter-Residence Council, including a party he hosted with SBP Darryl Willie. Dr. Thomas Stafford describes what he learned from his time serving in the military and Army ROTC and how students can learn leadership skills by joining the military. T. Greg Doucette reflects upon what he considers to be his greatest accomplishment as a student leader at NC State. 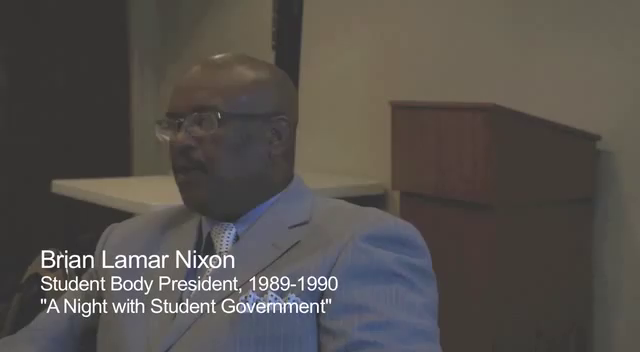 Norris Tolson described the honor code at NC State College in the early 1960s and how Student Government sought to uphold academic integrity. Raj Mirchandani recalls various campaign tactics such as approaching student voters on the bus, and wearing an Easter Bunny costume. He also describes the invention of the late-night Wolfline Campus Bus Service, known as the Werewolf. Norris Tolson describes growing up as a member of the Future Farmers of America, the importance of leadership, and how he became involved in Student Government at NC State College. 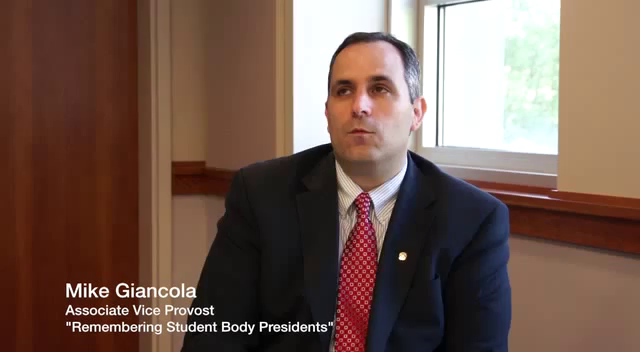 Mike Gaincola discusses the characteristics that make good students leaders--such as compassion, thinking big, and thinking about the connectivity of individuals--and the ways in which the CSLEPS program fosters those characteristics. Kelly Hook explains how she developed an interest in NC State's Student Government and why she ran for student body president. 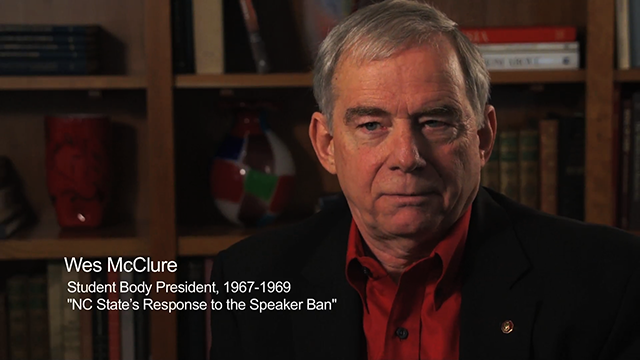 John Atkins recalls going to the White House, when President Lyndon B. Johnson invited him and a delegation of two hundred other college representatives for a visit in October 1964. Kelly Hook discusses her experiences traveling to Russia along with fifteen other student body presidents. She describes the goals of her trip abroad and how she helped co-found a non-profit organization upon her return to help further benefit/explore US-Russian relations. Norris Tolson discusses how he balanced his responsibilities as student body president and his academic course load. Harold Pettigrew discusses how meeting with the NC State University Board of Trustees as the Student Body President prepared him for his future. Adam Compton talks about the process of instituting red gowns at graduation. Brigadier General Jennings talks about problem-solving skills--especially the importance of defining the problem--that he learned as an NC State student, and he reflects on how that affected his professional, personal and military careers. Ed Stack discusses his motivation for being involved in various campus organizations, from the Textile Student Council, to Student Government, to Greek Life. James Hankins recalls his experiences serving as the political affairs chair of the Society of African American Culture. Eric Moore explains why he thought the responsibilities of the Student Senate should be treated with seriousness during his term as Senate president. Stephen Rea reflects on is years at NC State and the impact playing sports and chairing the university's chapter of the American Society of Mechanical Engineers had on his career. Brooks Raiford discusses the challenges of balancing an academic course load with the responsibilities of Student Government. Ed Stack reflects on campaigning, which he found to be a challenging and sometimes unpleasant aspect of student government. James B. Hunt, Jr. recalls his quick ascent into the student body president position and the importance of surrounding himself with an effective team of student leaders. 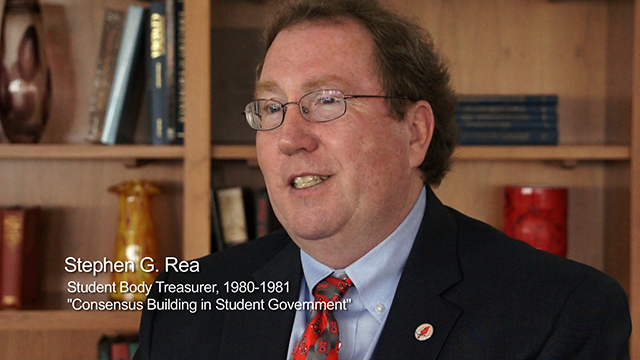 James Hankins describes how he became involved in Student Government at NC State. 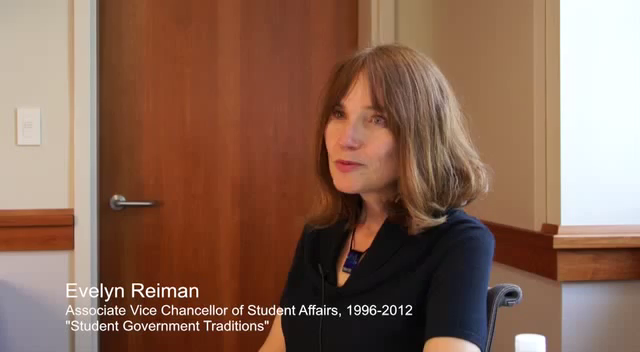 Cathy Sterling explains how she became involved in Student Government and how her future husband, Gene Messick, helped develop her interest in politics. James B. Hunt, Jr. discusses how student leaders at NC State differ from those at other universities and ultimately make great leaders for the state of North Carolina. 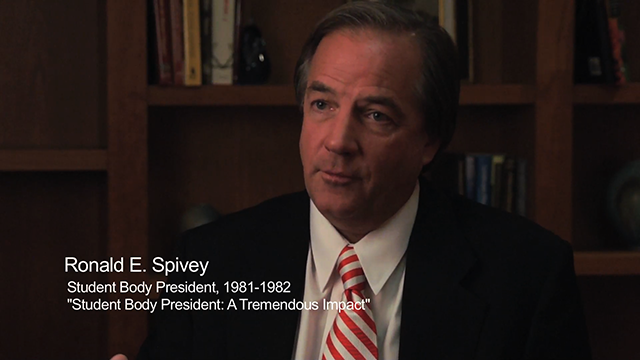 Jay Dawkins reflects on the lasting impact of being in student government at NC State. 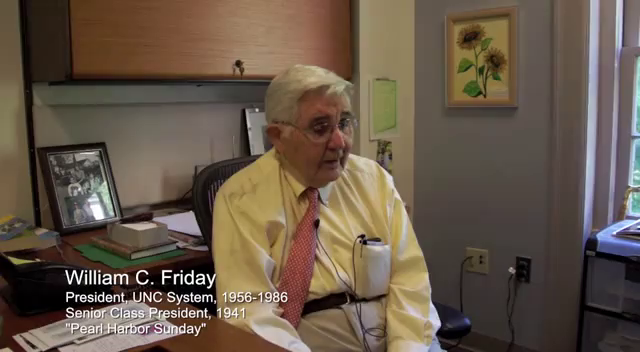 William Aycock describes how his participation in the optional third and fourth years of ROTC at NC State, along with some unusual luck, led to him almost immediately finding himself in command of a company after being called into the U.S. Army in the aftermath of the attack on Pearl Harbor. Will Quick and Tony Caravano discuss how Student Government became like a second major because of the many responsibilities associated with the position. Mike Giancola discusses the Leader of the Pack program. 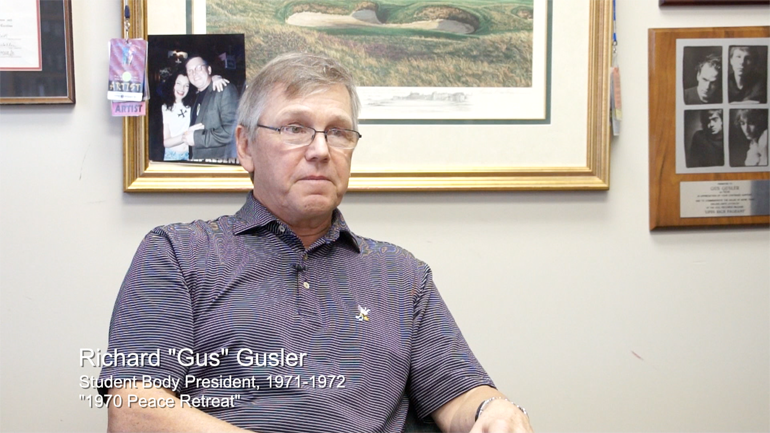 T. Greg Doucette discusses how he became involved in Student Government as a freshman. J.D. Hayworth describes his work as a congressman on the Hayworth Education Land Grant Act of 2000 (HELGA) and it's national impact on K-12 education. 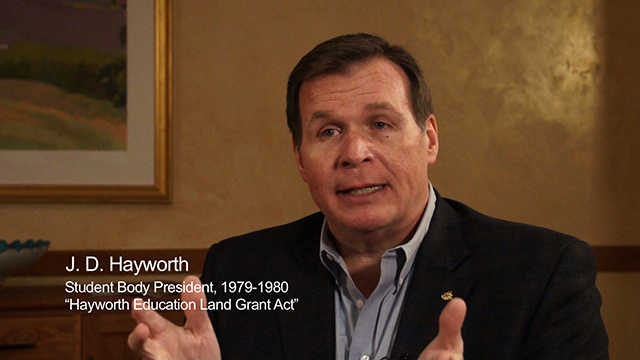 He talks about the law continuing the land-grant mission in education. 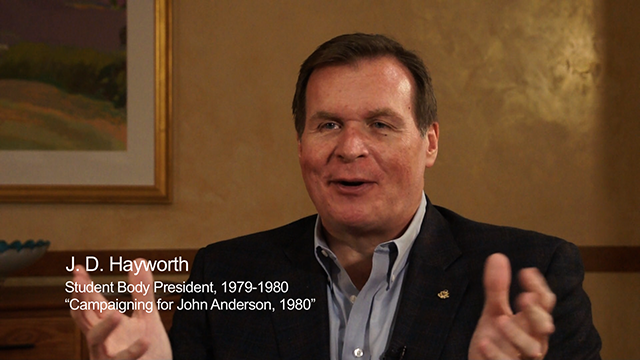 J. D. Hayworth remembers his first experiences assisting in a presidential campaign. 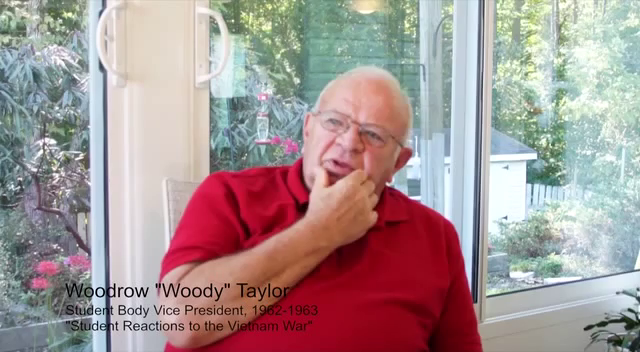 Woody Taylor talks about some of the NC State students who later served in the military during the Vietnam War. 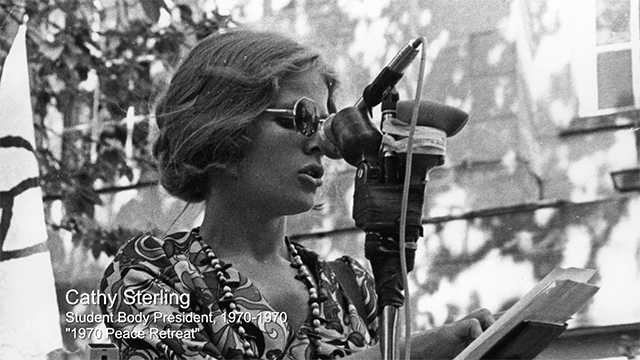 During the early 1960s, when they attended college, there wasn't any opposition to the war. 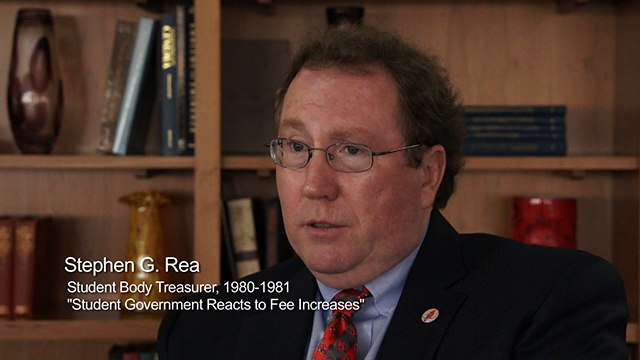 Stephen Rea discusses the Student Government reaction to proposed fee increases during the heightened inflation of 1980. 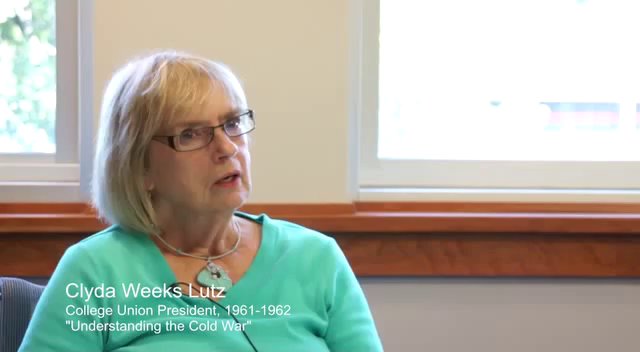 Clyda Weeks Lutz discusses the U-2 spy incident, preparedness for nuclear attacks, and other aspects of the Cold War that were on people's minds during the early 1960s. 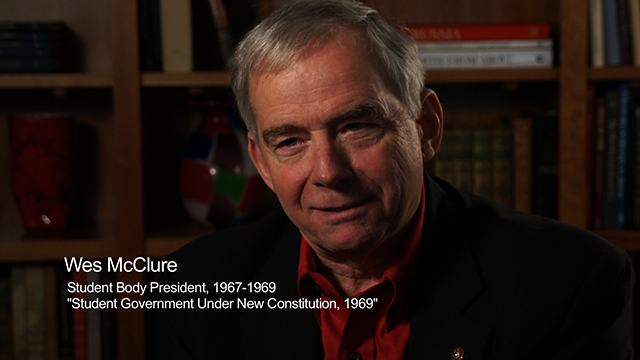 Wes McClure talks about the ideas behind the new student government constitution that was approved in 1969. An architecture student at the time, he approached development of the new constitution as if it were a design problem. Legislative representation of the student body was designed to reflect the what was unique about NC State. Stephen Rea describes the the challenges of consensus building during his term in Student Government. Wes McClure talks about the changes in Student Government under the 1969 constitution: students gained an input to budgeting fees, Student Senate mirrored Faculty Senate, the executive became separated from the legislature, and the budgeting process became more accountable. Adam Compton recalls his role in shortening the student government campaign season and the implementation of instant runoff voting.